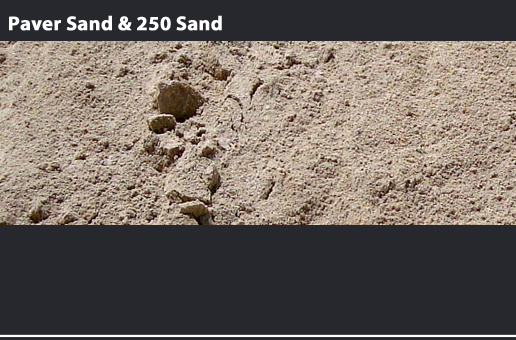 NAMES & TYPES OF SAND: Asphalt sand, concrete sand, surface sand, septic sand, washed beach sand, septic sand, perc sand, beach sand with shell, silica sand, paver sand, drainfield sand, #2 sand, surface sand and more. SAND COMPOSITION: varies, depending on the local quarry and mine sources. Bright white sand found along coastal settings is eroded and may contain small shell fragments. Often sand in Florida areas is screened to meet certain specifications of common uses. Sand is typically put into three classifications, fine, medium and coarse. There are additional sub categories of sizing falling within those 3 headings. Agriculture: Sandy soil is great for crops and their excellent drainage characteristics make them great for dairy farming. Artificial Reefs: bagged sand is great for a foundation for new reefs. Beach Nourishment & Re-nourishment: Sand is often used for beach restoration where tides, storms and changes have occurred to the shoreline eroding the originals and. Brick: Sand is added to a mixture of clay and other materials for the production of bricks. Concrete: Sand is often a major component of this very important construction material. Landscaping: Sand is often used on golf courses, and developments aiding in the construction of slopes and hills. Landfills: Sand is a very common material used in landfills to assist in the proper drainage on top of the liners that are placed. Sand is great for new cell material and cover sand for much of the landfill cover material for both new construction and closing of exhisting landfill cells. CONSTRUCTION & UTILITY WORK: Sand is a very common material for many construction projects, due to the materials ability to facilitate drainage.